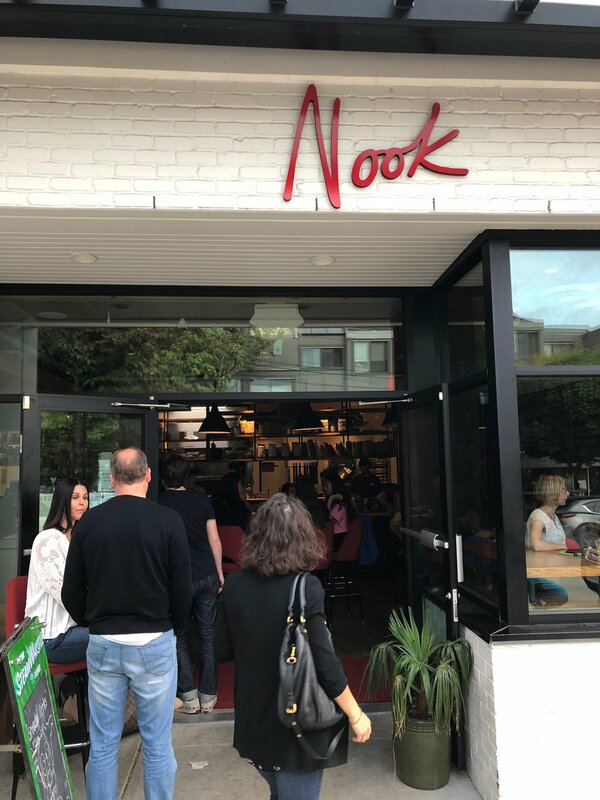 Lillian was raving about how good Nook is so I decided that the following weekend we would treat ourselves to Nook for dinner. Line up was about 15-20 minutes which wasn't bad. The host was super friendly and almost like the guy from one of the home reno shows. They have a daily specials menu so be sure to check out the chalk board before you order. Awesome beers on tap and also a cider as well. 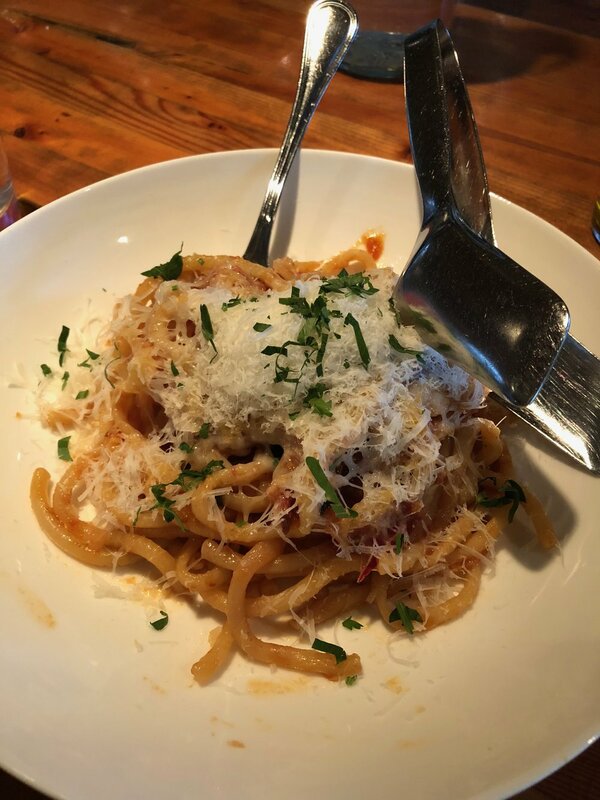 I ordered their special pasta which was a bacon tomato sauce with a thicker noodle resembling udon but with a perfect cook to it. A tiny bit of kick to it but it was absolutely amazing. If they have it on special the next time I go, i'm definitely ordering the dish for myself and won't be sharing. 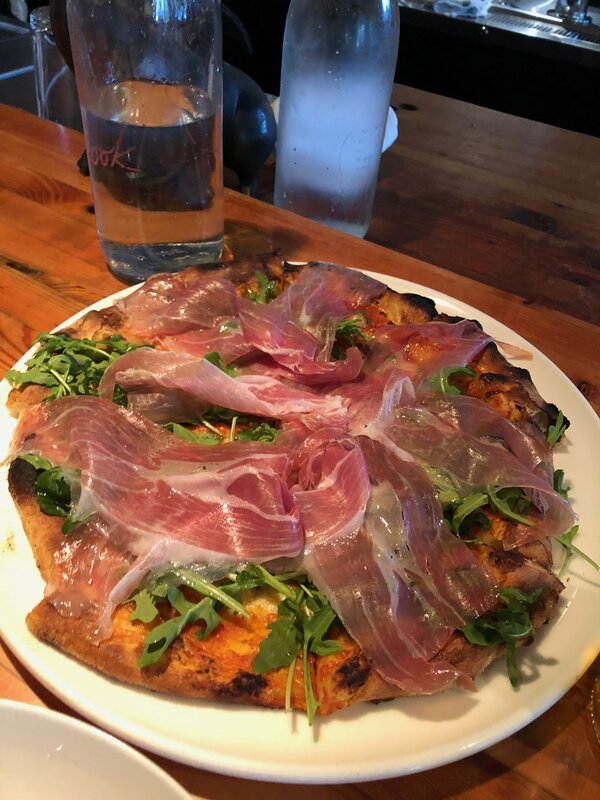 As for their pizza, we ordered the prosciutto with arugula and roasted garlic. It has a sweet undertone and slightly salty finish. A very refreshing pizza to begin with and using their house olive oil to dip the crust = amazing. It's a bit on the pricey side but the food and service was perfect.